There has been an explosion in the population of Great Lakes whales in Lake Michigan. Once, nearly driven to extinction from over-harvesting by the whaling industry in the mid-1800’s, the numbers of the inland cetaceans have seen a dramatic increase in recent years. 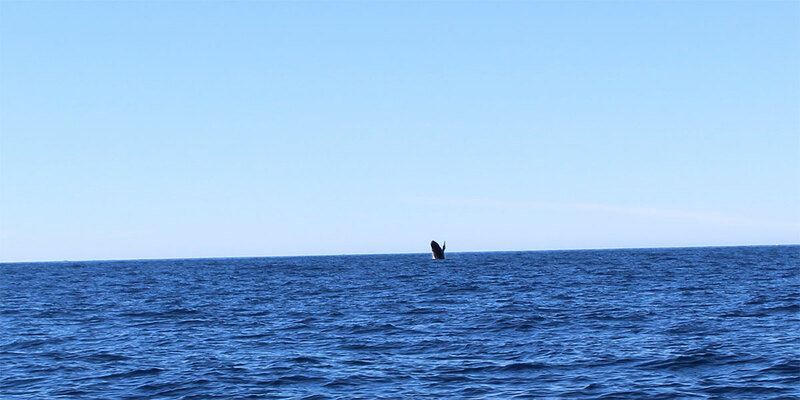 So much so that it has set off a corollary boom in the popular whale watching cruise boat fleet, which enjoyed full occupancy on most of its vessels and waiting lists for bookings this coming weekend, according to tour boat operators in Wisconsin and western Michigan port cities. The reason for what marine biologists have termed an “exponential increase,” has been identified as an unintended consequence of moving the Memorial Day holiday from its traditional date of May 30th to the last Monday in May, in order to ensure a 3-day weekend. The annual Spring rut of Great Lakes whales was known to 19th century whalers to coincide with the end of May holiday. Extending estrus to three days has naturally had the results we are now seeing in the population. The phenomenon has not been witnessed on any other of the Great Lakes, presumably because Lake Michigan is the only one of the five lakes that doesn’t straddle the boarder with Canada. Since Memorial Day is uniquely a U.S. holiday, the impact on the breeding season has been neutralized by interbreeding between U.S. and Canadian whales in those waters. boy I do love waking up to all these fresh water whales frolicking around!! 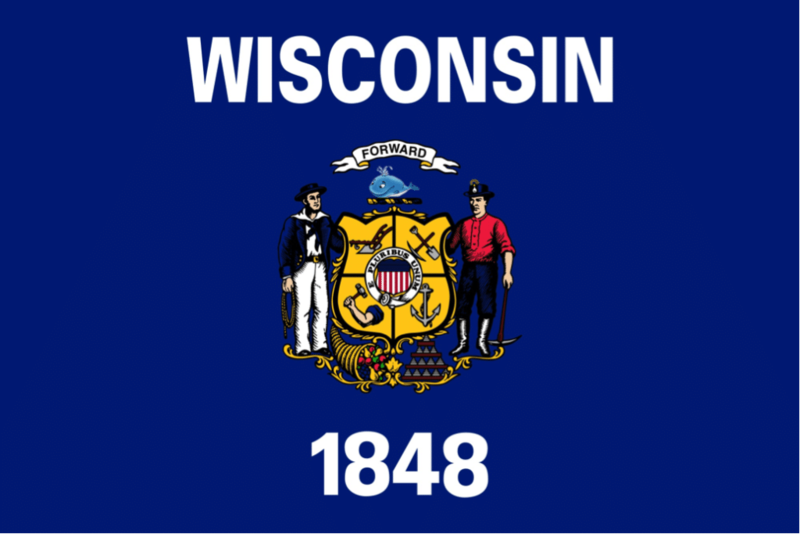 In those days, the lead mining interests in the Southwestern corner of the state, represented by the miner standing to the right of the shield, held much sway in the Legislature and, with the help of wealthy owners of the logging industry up North, were able to get the whale replaced by a badger in the design approved in the first session after Wisconsin was admitted into the Union in 1848. 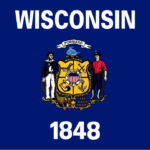 The representatives of the mining and logging interests expressed concern that sooner or later Wisconsin would have a University and their sports teams might become known as the Whales. The motivation for seeking to replace the image of the whale was rooted more in a desire to maintain domestic tranquility than in a fight over “naming rights” to sports teams, however. It’s well known that the occurrence of obesity among 19th century women was no more prominent than in logging camps, where the phrase, “Eats like a lumberjack” was applied to the women who did the cooking. In what has become known as “The Two-by-Four Compromise,” a figure of a badger was substituted for the whale. Curiously, the flag carries no depiction representing a logger; or does it? In the parlance of the day, someone avoiding an issue was compared to a badger scurrying into its burrow. Meeting minutes from early legislative committee hearings suggest that the logging interests were satisfied in not having to convince their wives that the whale on the flag wasn’t a furtive reference to their figures. Nina Notes: Thanks for the history Gary!